An oil-fired boiler manufacturer is charting new waters after supplying one of its products to an unusual restoration project. 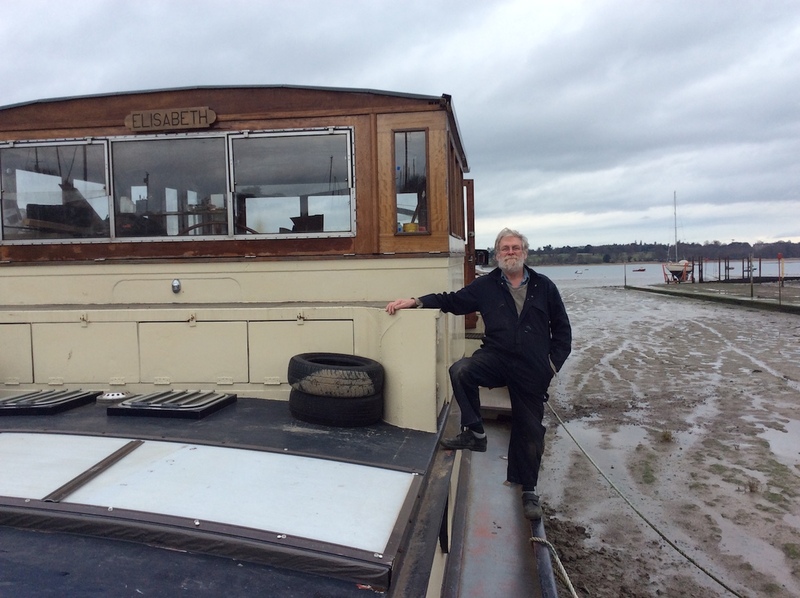 Telford based Mistral Boilers has seen one of its non condensing combination systems installed on a refurbished 100ft former Dutch barge that will provide a new home and cruising base for retired boat restorer Geoff Mellor. Mistral is one of the top five oil-fired boiler manufacturers in the UK, alongside household names such as Worcester Bosch and Grant UK, but it is the first time a Mistral Boiler has been used in a marine setting. Geoff, from Suffolk, has spent two years bringing the 107-year-old barge called Elisabeth, which was previously used as his floating workshop and office, back to life as a new home to enjoy in his retirement. He will moor Elisabeth in London in the shadow of Tower Bridge for part of the year and cruise the canals of the east of England and the continent for the remainder. Geoff said the Mistral combination boiler had been the only product he could find that met his specific needs. “I was looking for a system that would supply heat and water throughout the boat but it needed to run on red diesel, which also powers the barge, so I only need to have one form of fuel on board. “It was also very important that the boiler was easy for me to maintain and repair as it’s not easy to call a boiler technician to come and help you when you’re out on the water in the middle of nowhere! “I discovered Mistral Boilers on the internet and were impressed by their products. They upgraded the burner to meet my specifications and it has been installed in the engine room and is already working perfectly,” he added. Mistral Managing director Jim Wright said he was delighted the firm could help Geoff. “We were happy to work with Geoff to adapt our non condensing boiler to run on red diesel and it’s great that he now has a fully operational system in place. “This is the first time we know of where a Mistral boiler has been used in a marine setting so it opens up a new market for us,” he said.